· What was your inspiration for Oak & Mistletoe? One day, I was studying ancient Roman history, and somehow I was led to articles regarding Pliny the Elder, and Julius Caesar’s account of the ancient druids. It was fascinating. Reading the only ritual known from them, the ritual of oak and mistletoe, I suddenly imagined the basic plot of my book. · Which character in Oak & Mistletoe do you identify with most, and why? 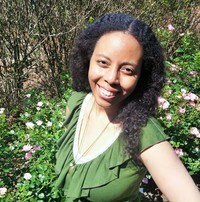 I suppose that would be Catherine, my main character. For many reasons, but we both love Ireland and strawberry ice cream. · What was your favorite part about writing Oak & Mistletoe? I loved it all, but I will say it was especially fun writing the villain scenes. · What was the hardest part about writing Oak & Mistletoe? Writing Conall’s character was a struggle because it was easy to make his special level of crazy go too far. Luckily my editor helped me bring it back a bit and smooth it out. 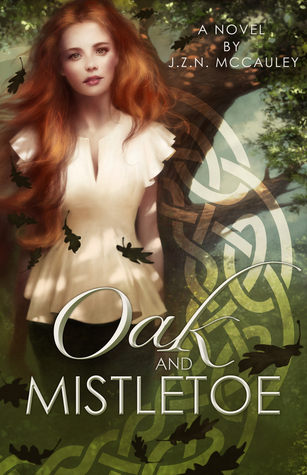 · What’s one thing you want readers to know about Oak & Mistletoe? This is a book about many things. Different sides and levels of evil, suffering, loss. But ultimately it’s about good vs evil, love and having the courage to keep going. · Who is your favorite rogue character from a book, TV show, or movie? So many, but I’d have to say Killian (aka Captain Hook) from ABC’s TV show Once Upon a Time.